2015's punniest opening has to be Ramen Hood, Ilan Hall's vegan ramen joint that he dropped after shuttering The Gorbals. 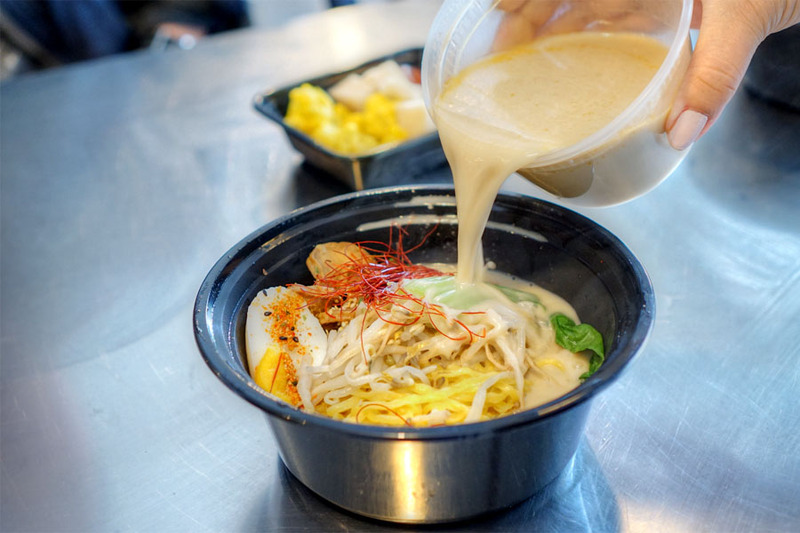 The place debuted on November 6th, and takes over a stall that was once slated for Alvin Cailan's Ramen Champ. 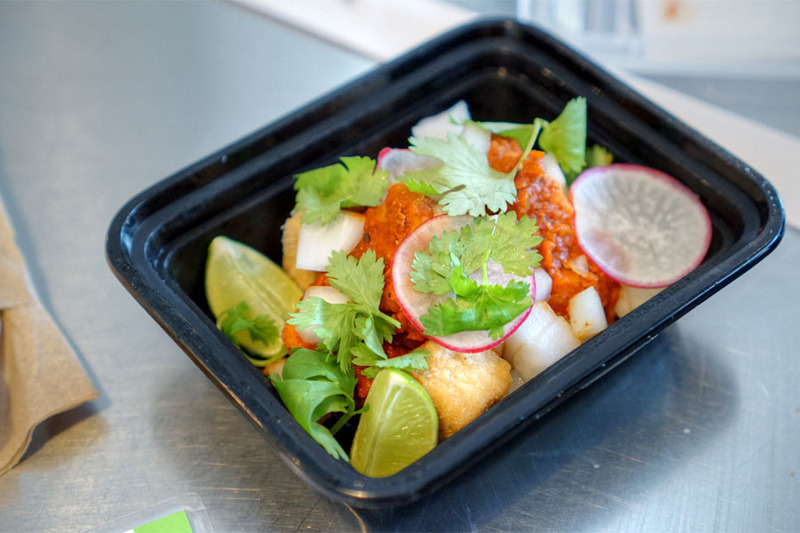 Running things on a day-to-day basis here is Indian-Korean chef Rahul Khopkar, a former line cook at The Gorbals who left the restaurant in 2012 to attend the Culinary Institute of America at Greystone. He also interned at Lucques during his stint at the CIA, cooked at Archetype in Saint Helena following graduation, staged at Noma, and worked a couple months at Birch and The Stocking Frame before joining the Ramen Hood team last September. 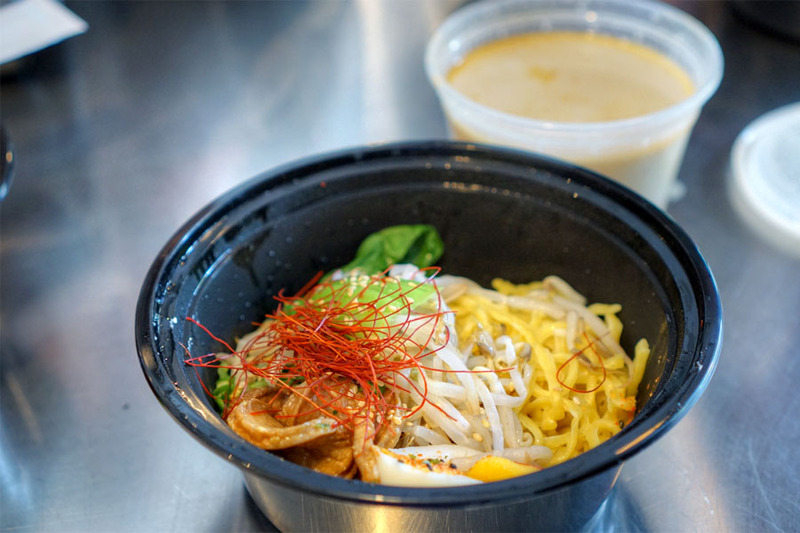 Ramen Hood's menu is tight, with just two types of ramen along with a handful of small plates. Click for larger versions. First up was my favorite of the sides. There was a nice textural contrast with the actual tofu, and I appreciated the deep, pastor-esque spiciness of the dish. I got a good zippiness and contrast from the bits of onion, too. 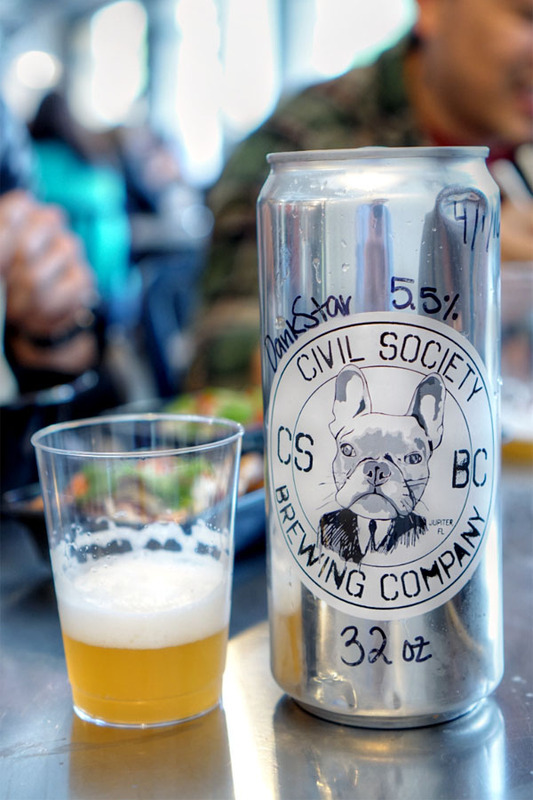 Given that we were at GCM, beer was definitely called for, starting with a crowler of the 2016 Civil Society DankStar, an American pale ale hopped with Nelson Sauvin, Simcoe, Mosaic, and Columbus. Excellent balance of bitterness and floral notes on the nose, while the palate showed off a hoppy bite that transitioned to a sweet, fruity, floral character toward the close. We went with the original ramen, and it did not upset. The broth was key and served as a great base to the dish. Made with long-simmered kelp and shiitake combined with white miso-roasted sunflower seeds, it showed off some really satisfying umami-slash-nutty flavors as well as a pleasing viscosity. Noodles, meanwhile, were springy and supple, and I was a big fan of the crunch and brightness from the bean sprouts and bok choy. Lovely meatiness and savor from the disks of mushroom, too. A strong effort. 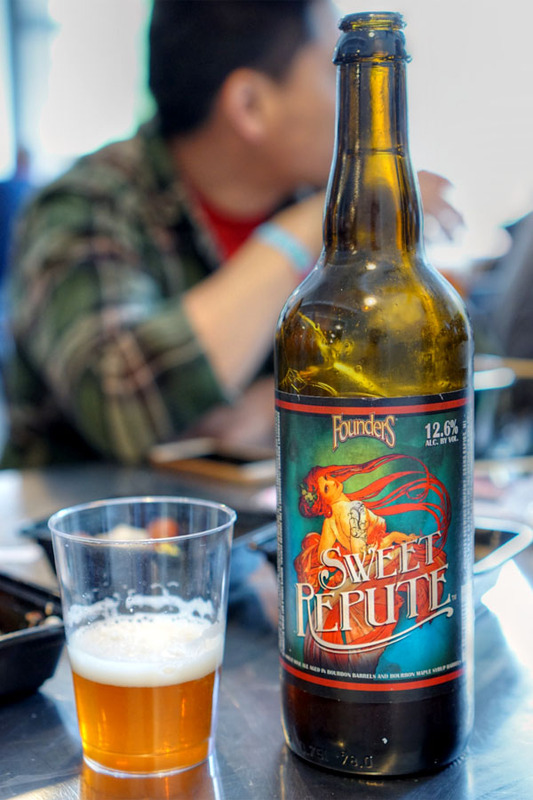 Here we had the 2013 Founders Sweet Repute, a wheat wine ale aged 16 months in a combo of bourbon barrels and bourbon maple syrup barrels. Aromas on this one were decidedly sweet, honeyed, malty. Taste brought a sugary, candied quality, with just a trace of bitterness and a lingering booziness on the back end. Given my penchant for pickles, I had to try Ramen Hood's trio. Most bracing was the tomato, which came out super sour, super acidic (too much so, I'd say). 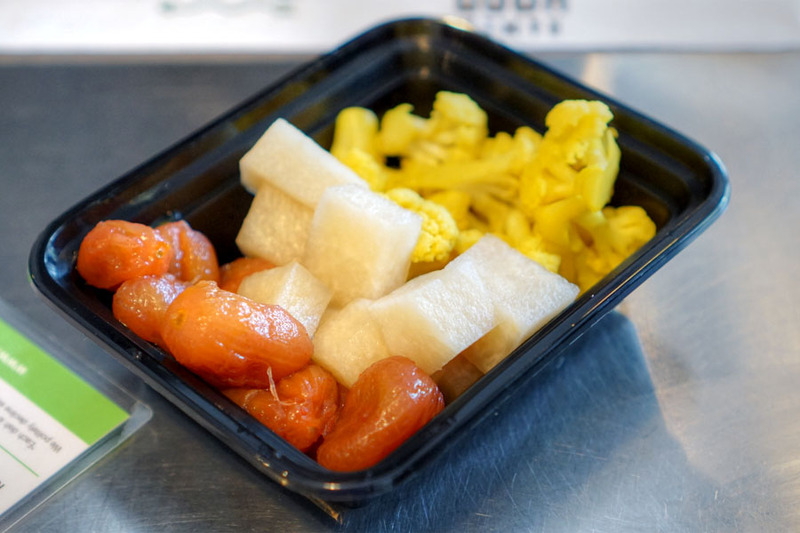 The crunchy jicama was the mildest, while the cauliflower displayed some nice textures along with a forceful astringent character. 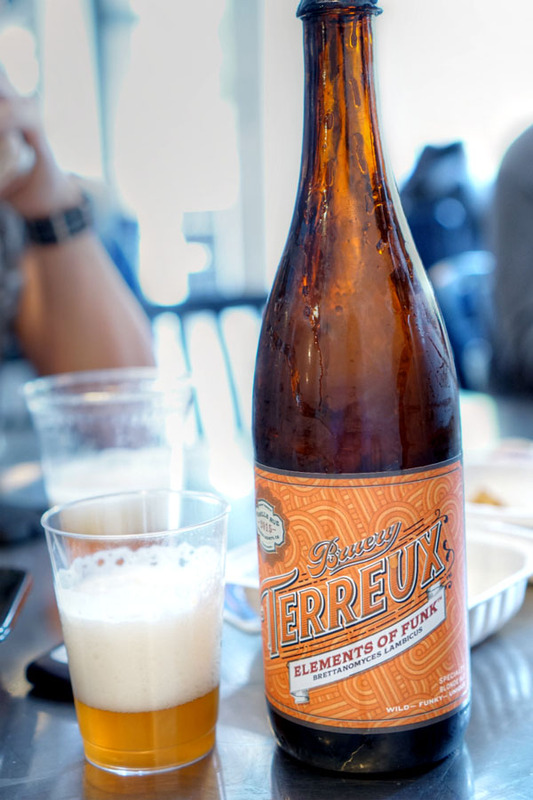 Our third bottle was the 2015 The Bruery Terreux Elements of Funk: Brettanomyces Lambicus, a wild blonde that was last in a series of four beers meant to showcase the differences between four strains of Brett. Think sweet 'n' fruity on the nose, with a palate veering surprisingly malty and a touch floral, the finishing conveying a somewhat out-of-place bitterness and booziness. The weakest of the quartet for me, actually. 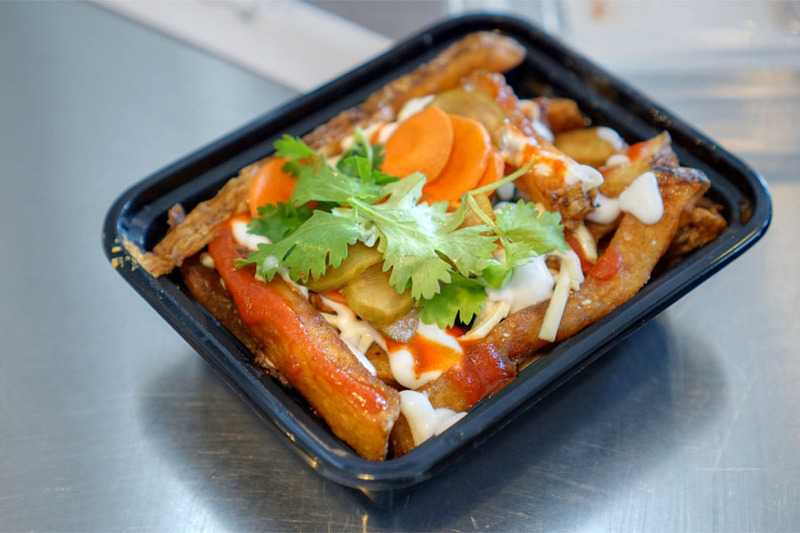 A bánh mì-inspired poutine didn't really taste much like its namesake sandwich, though it worked decently enough. There was definitely an unexpected sweetness underpinning everything, and curiously, one of my dining companions even likened its taste to that of Cheddar & Sour Cream Ruffles. Understandably, I was a bit skeptical at the whole notion of vegan ramen coming in, but left pleasantly surprised. 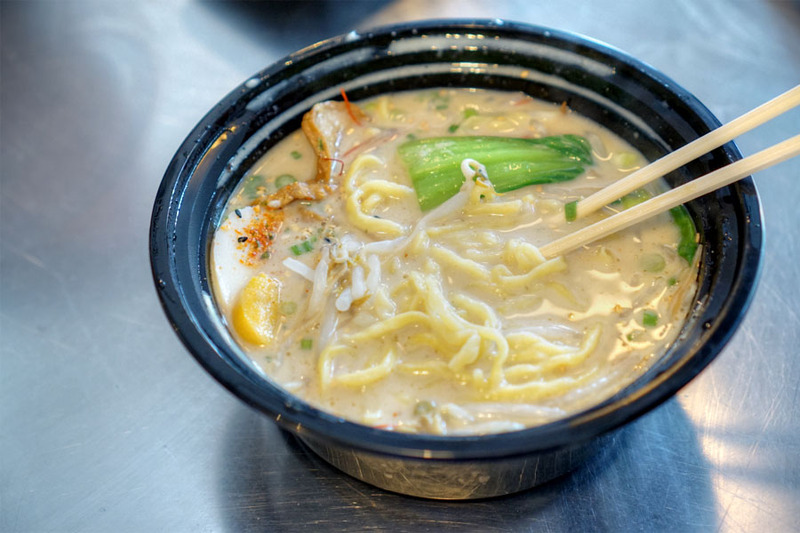 The noodle soup ate well, with some gratifying, comforting flavors that exceeded our expectations. I really didn't feel like I was missing out despite the lack of any animal products--pretty impressive. I thought it was so plain and average, I tried it twice when they opened, haven't bothered to go again. Nice write-up, thanks! I liked your notes on the beer pairing. I ate there six months ago and loved it! Charlie: Huh, I dunno, maybe they've improved since then? All four of us who had the ramen quite enjoyed it. Rob: Thanks Rob. I think the food here really does call for beer. fume hood is the best equipment of kitchen because it absorbs all the thins like vapors , gases so after seeing its uses researchers are also used it in lab, get detail of it by fume hood manufacturers in india.